This post is sponsored by Mondelez. In just a few short weeks our kids will be getting ready to go back to school. The store shelves are filling up with essentials like pens, pencils, crayons and notebooks. Children with overstuffed backpacks will skip merrily to school while moms breathe a sigh of relief for finally getting a break from the crazy summer. Back to school has started. This year I will have four children in school. After a long day of school my kids come home hungry. It is very important that I prepare a healthy, nutritious and wholesome after school snack. For my family taking care of our whole selves, body, mind and spirit takes priority. 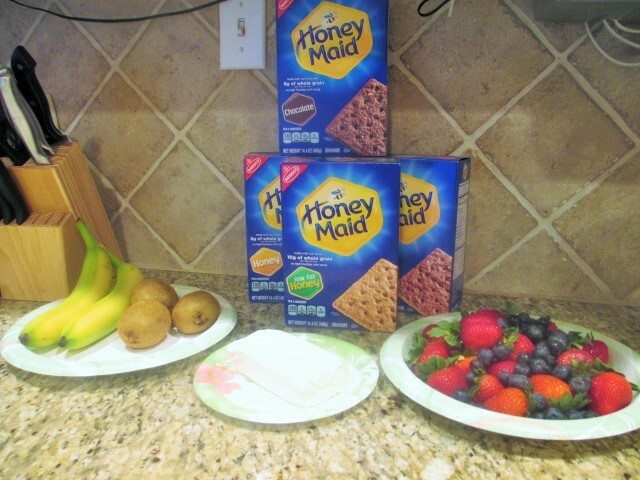 This delicious, wholesome and nutritious back to school snack using Honey Maid Graham Crackers is a favorite. 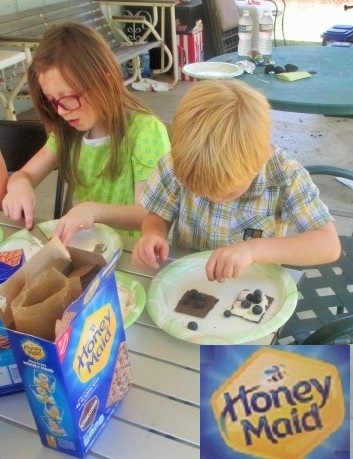 Honey Maid’s delicious snacks are made with real ingredients. We’ve added more natural ingredients to make the wholesome snack even better. The best part about these fruit sandwiches is that your kids can use their creativity and make it themselves. Directions: Whip together cream cheese, milk and vanilla until it is soft enough to spread. Take 1 sheet of Honey Maid Graham Crackers and split in half. Spread 1 T of cream cheese mixture on half of a graham cracker, then add your desired fruit. 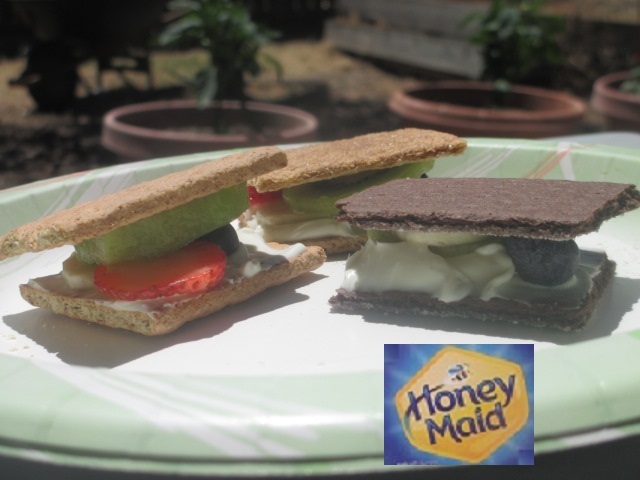 Finish sandwich by placing other half of Honey Maid Graham cracker on top. #ThisIsWholesome. What else is wholesome? 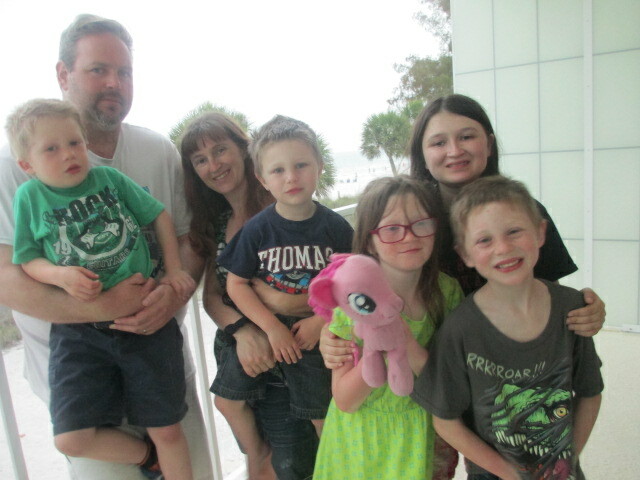 For my family of seven wholesome is more than just eating right and taking care of our bodies. Our family is wholesome because we help each other out, pray together, love and take care of one another. Our Catholic conservative values strengthen our bond. Wholesome means more than just good health and physical well-being, it is also a refection of good, ethical, moral, virtuous, proper, and decent, well-being. As a family, we embrace them all. No matter how things change, what makes us wholesome never will. Honey Maid provides wholesome snacks for every wholesome family.